The COBB Ford Fiesta ST Rear Motor Mount is the best way to minimise engine movement, improve traction, and reduce wheel hop without major impact to NVH. Typical bushing designs can rattle your teeth out at idle or during throttle input. 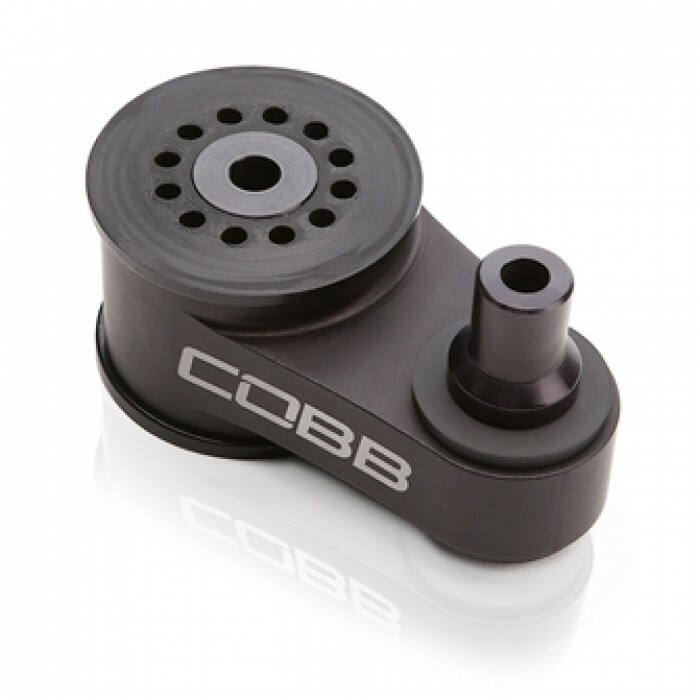 The COBB Ford Fiesta ST RMM utilises unique voids custom molded into the larger 68A durometer bushing and a smaller 85A durometer bushing to absorb vibrations, but still reduce engine movement to aid getting all the power to the ground. The beautifully machined 6061 billet aluminium mount will make you sad you have to hide it under your car! The Pumaspeed Workshop team are ready to fit the ST180 Cobb Fiesta Motor Mount in our Head Office located here. Therefore making parts and labour a total cost £207.95 (inc. VAT). Pumaspeed have a specialist distribution team that can dispatch the ST180 Cobb Fiesta Motor Mount to any destination worldwide.